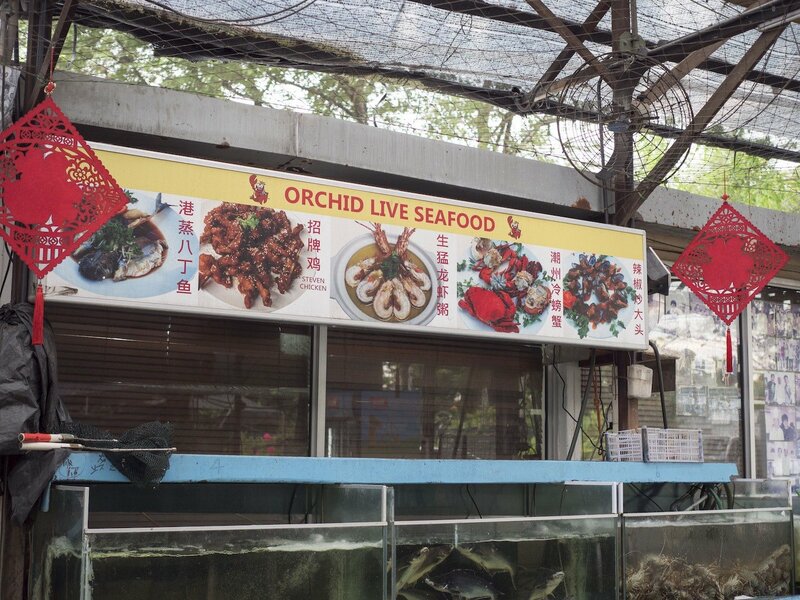 After watching a very positive review of Orchid Live Seafood on popular Singaporean Youtube food program “Food King”, I found it irresistible to try them out, especially when I had been unknowingly passing by the restaurant for one entire month, visiting my cats in Sembawang Quarantine Station. 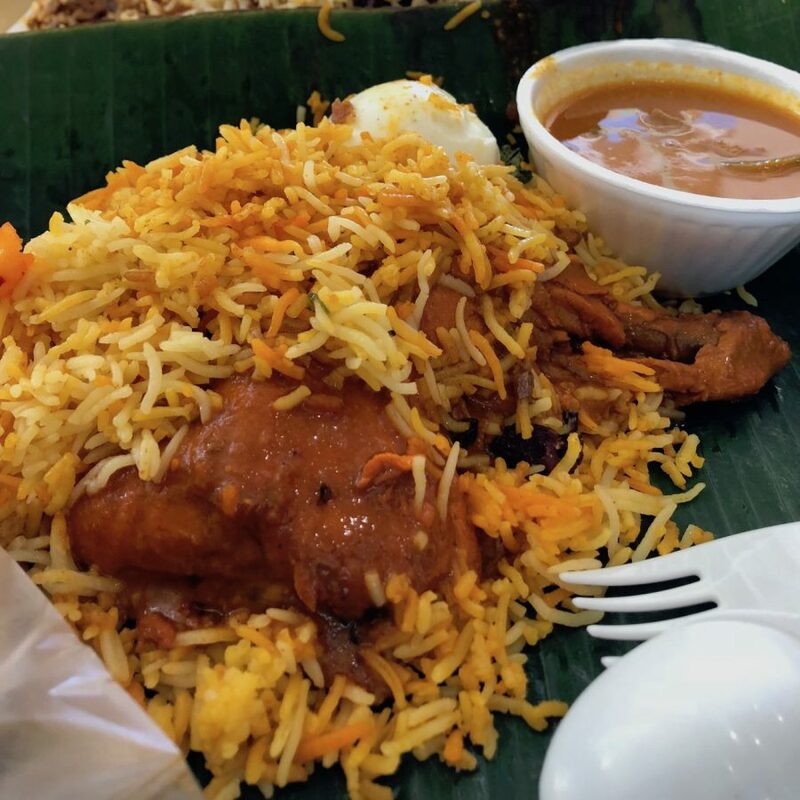 I’m having a bit of a hard time scoring restaurants/eateries in Singapore, because most of the best eats in Singapore have neither decor nor service. 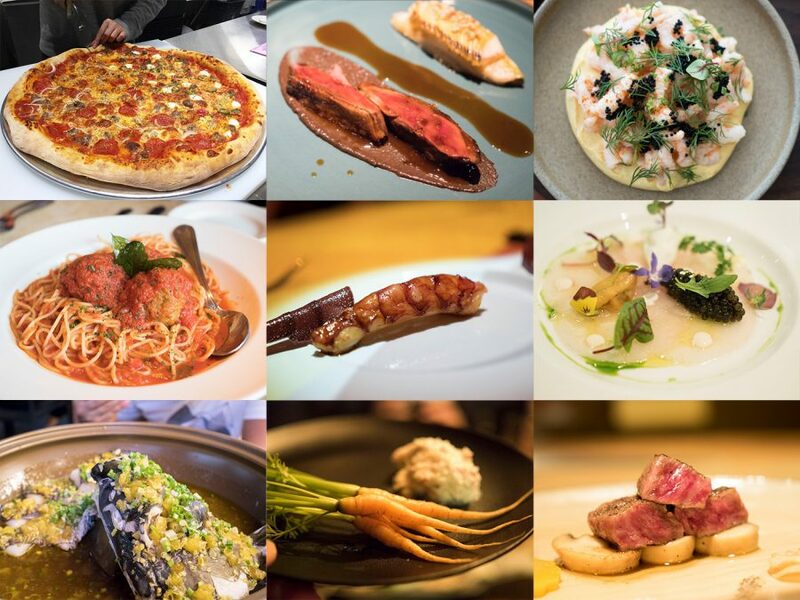 This makes it difficult to make any formal reviews while there are so many great food vendors/restaurants worthy of documenting. Would it be fair if I scored hawkers based on food alone, whilst proper restaurants were scored against their decor and service too? Surely no, making this a little of a conundrum. Then again, as long as it is a restaurant with a decor and service staff, perhaps they shall be judged with the same standards with say a French restaurant. Why should they get a jail-free card, considering their MO is identical with any other restaurant? 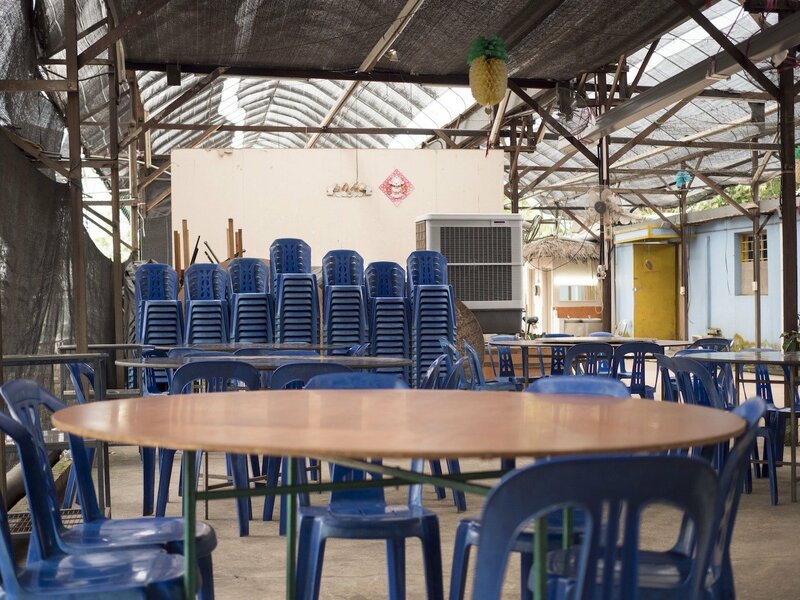 The only eateries to not be scored for decor and service will be hawker centers, coffee shops, food carts/stalls, etc. To normalise the scoring for these, they will all get a 7.5 for decor and service. 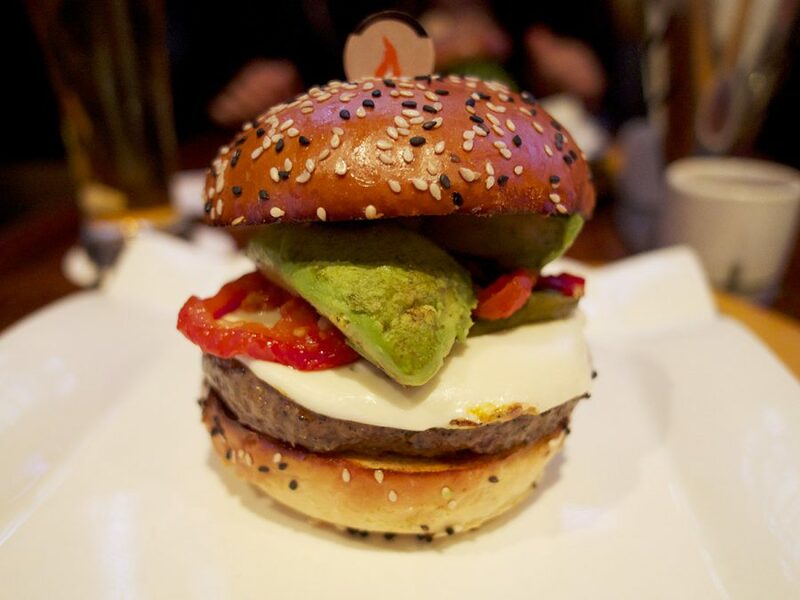 This gives them a bit of balance compared to restaurants with good effort in decor and service. … Part of the reason was because there was no decor. Patrons simply sat outside on old wooden round tables with plastic chairs. 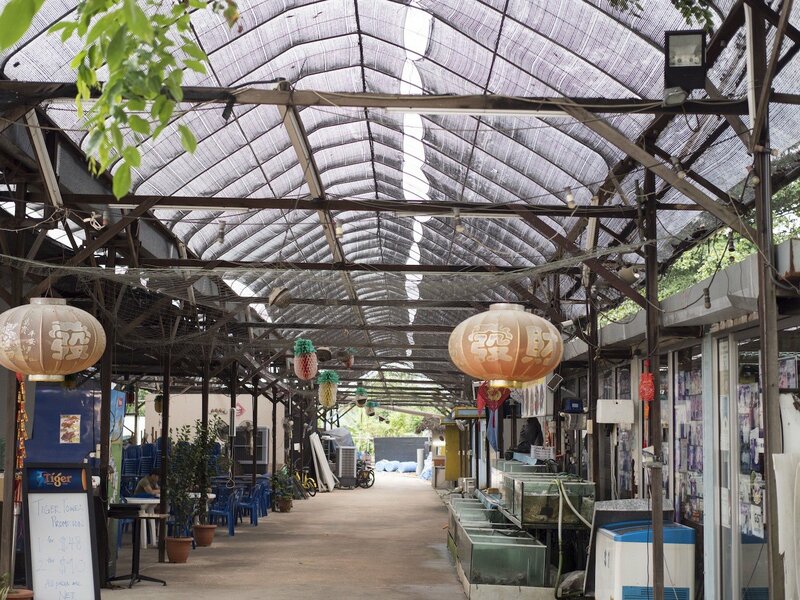 The external dining area was separated from the farm by a fence, while an array of fans helped ventilate and cooled the dining area. Service was cordial and straight to the point. Servers were quick to order and food was served quite quickly, with all the dishes served within 5 minutes of each other. Unlike a higher class chinese restaurant, the servers at Orchid Live Seafood do not help serve the porridge for the table. I would say that the service was neither good nor bad, though a little extra effort would’ve pushed it to a new level. We shared the following dishes amongst 4 persons, and were sufficiently fed. All in all we spent about $40+ per person, which was quite reasonable, considering we had 3 lobsters. 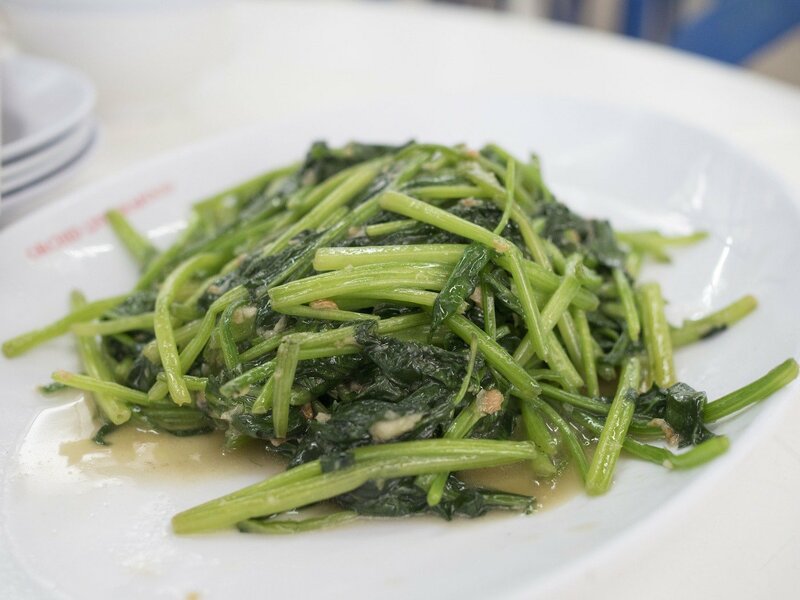 Run of the mill spinach wok fried with garlic. These were as unique as their name. 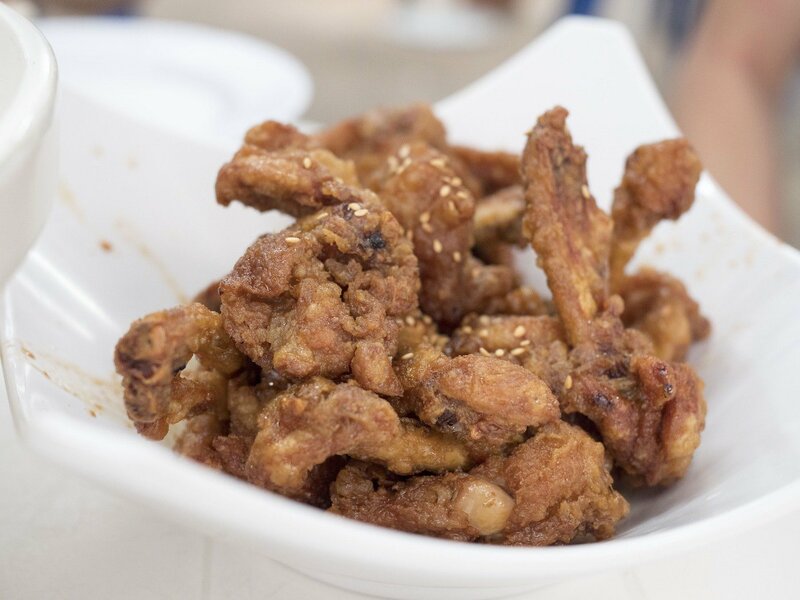 The chicken drumlets have had their meat stripped from the bone, hanging on the joint. This allowed the meat and skin to cook evenly and because they had been broken down roughly, uneven surfaces equals more crispiness. The supposed piece de resistance. Sadly, it was a disappointment for me. 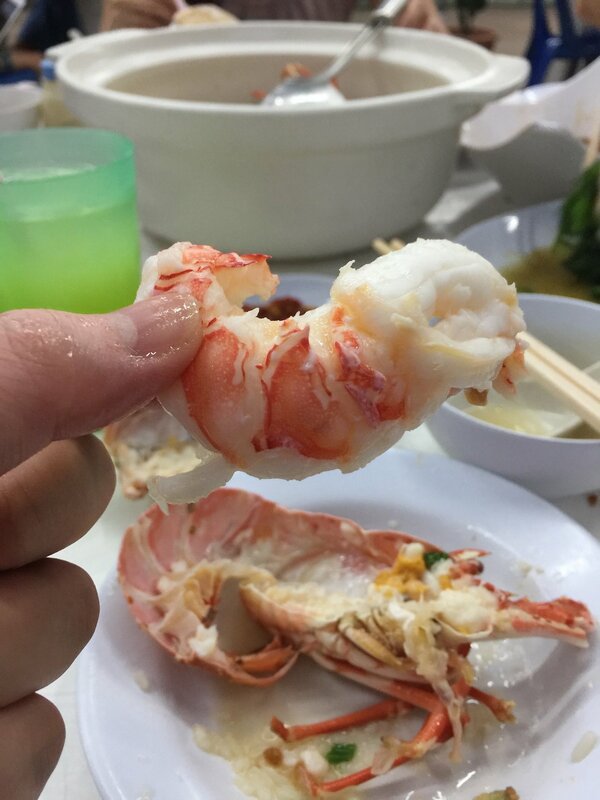 The Chinese lobsters were no doubt, fresh with sweet and bouncy flesh. 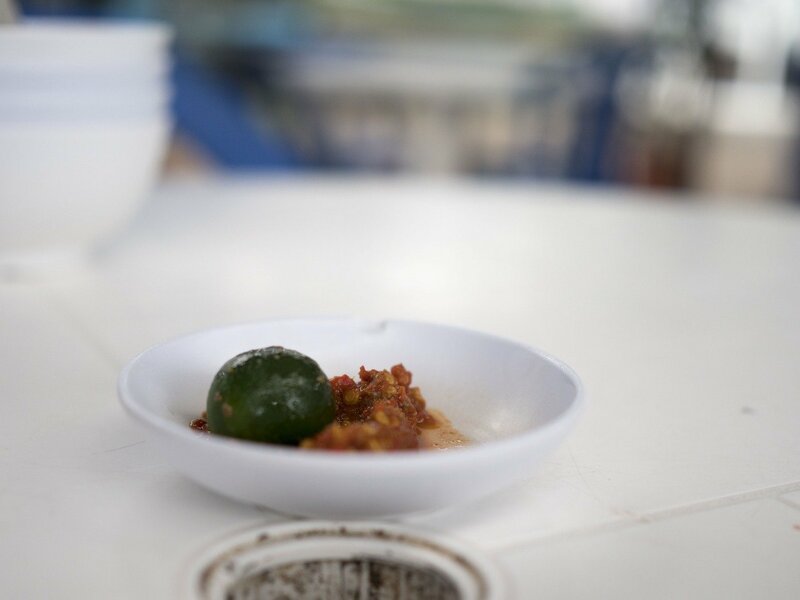 The porridge was done teochew style, which meant the rice usually still retained their form and individual grains, almost like steeped rice. The broth, while a little watery, was savoury and had body. It was likely a fish-based stock fortified with pork bones and tipo (dried sole). You see, when I see/hear of people raving about a lobster porridge, or lobster-anything for that matter, I expect lobster flavours. 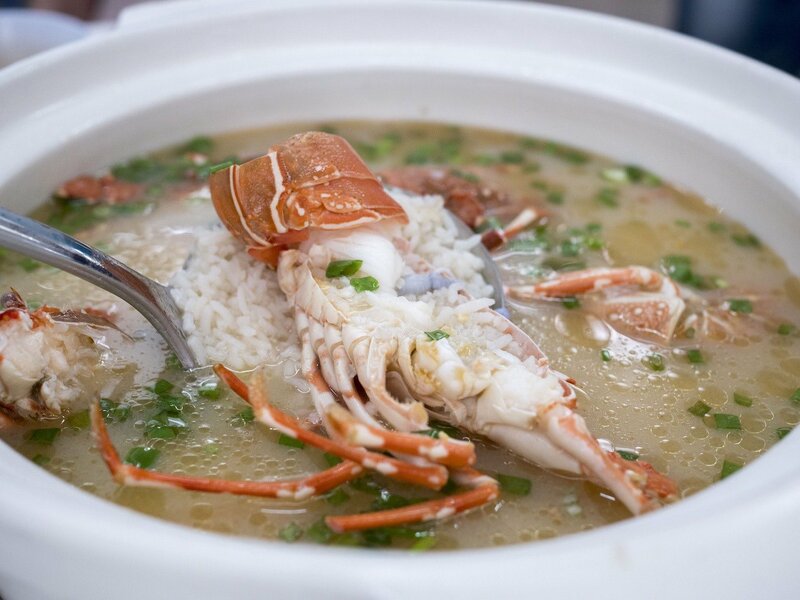 I’ve had lobster steeped rice (also considered porridge) several times in Shanghai, at Lei Garden and Crystal Jade. While theirs did not feature a live lobster in the pot, the soup actually contained a good hefty amount of lobster/shellfish flavour. 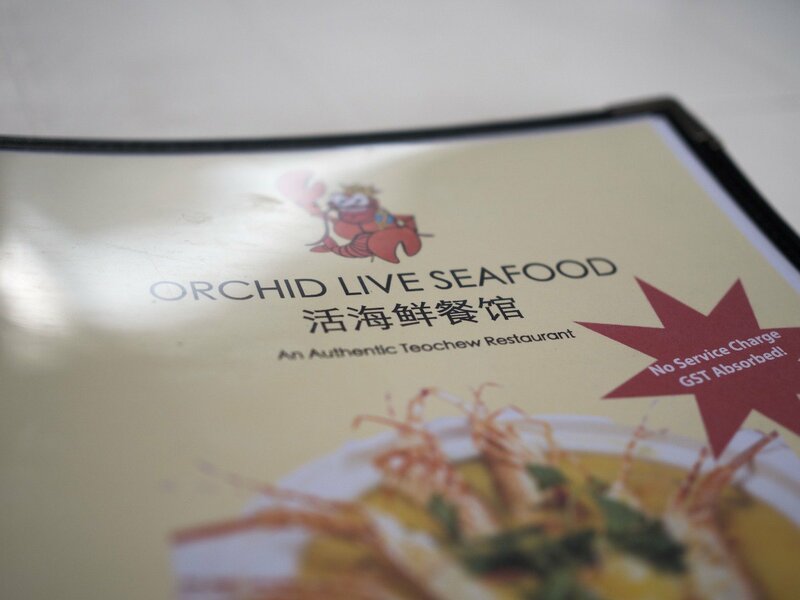 The one at Orchid Live Seafood tasted like steamed/boiled lobster, simply served with fish soup porridge. There was no infusion of lobster or shellfish flavours in the soup itself. The lobster and porridge were very distinctively separate. That failed the dish for me. 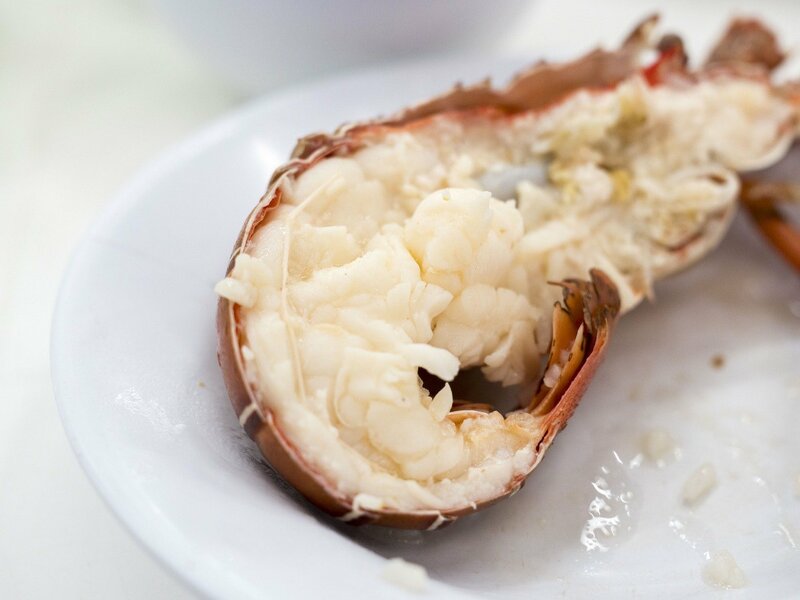 Cheese baked lobster with ee-noodles are a very popular item at restaurants in Hong Kong. I know because my mum is from Hong Kong, and I’ve had it many times since I was a boy. So that was my expectation of the cream cheese lobster at Orchid Live Seafood. The live Boston lobster was definitely bigger than the Chinese ones from the porridge, and had a more distinct lobster flavour that I have been used to. The cheese sauce was quite sweet, perhaps overly so. 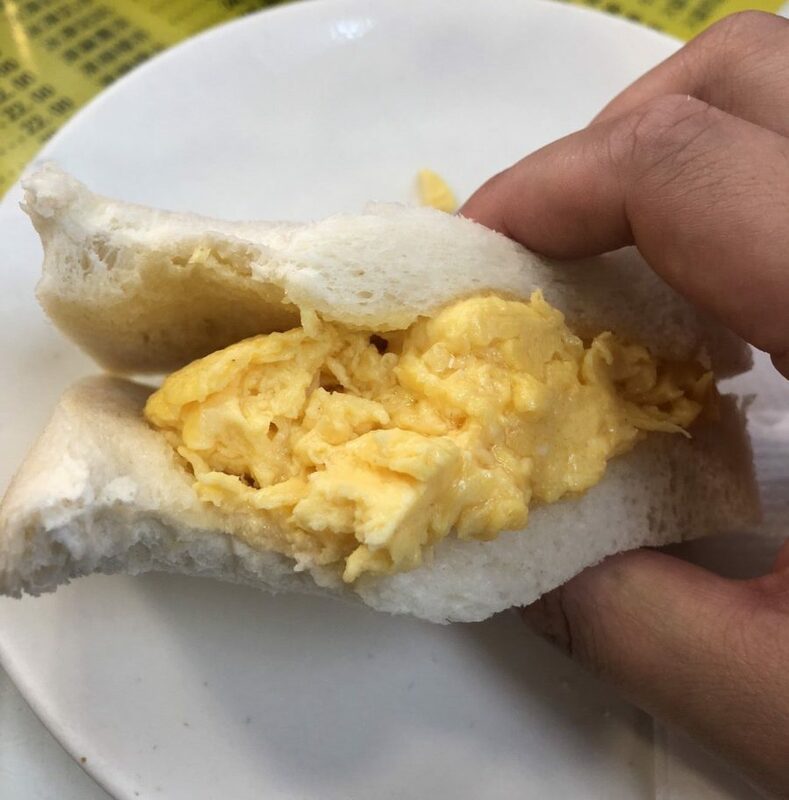 It tasted a little like condensed milk — Not really my cup of tea. 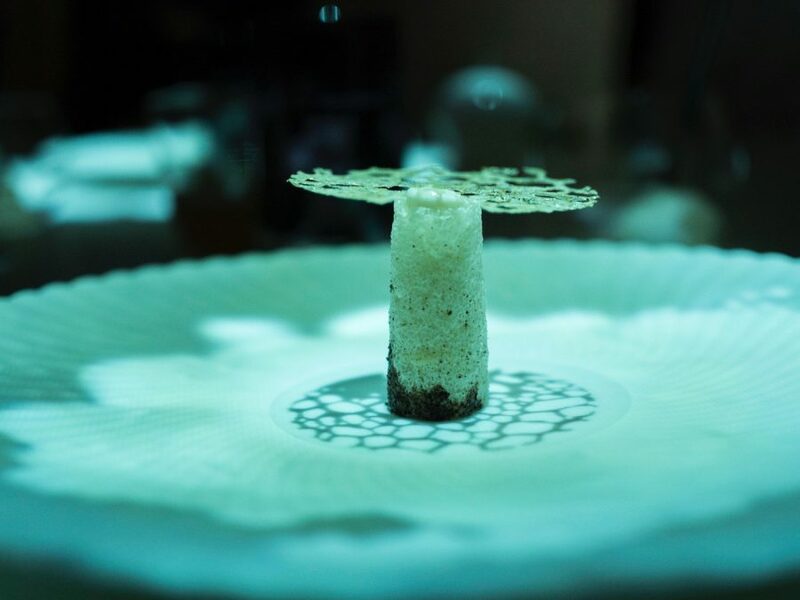 The unevenly charred cheese on top signified that they had been blow torched instead of actually been baked in an oven or under a salamander. That was a shame, because if it had been done properly, there would have been a nice consistent and developed crust. Charred shellfish is one of the best smelling flavours, ever. 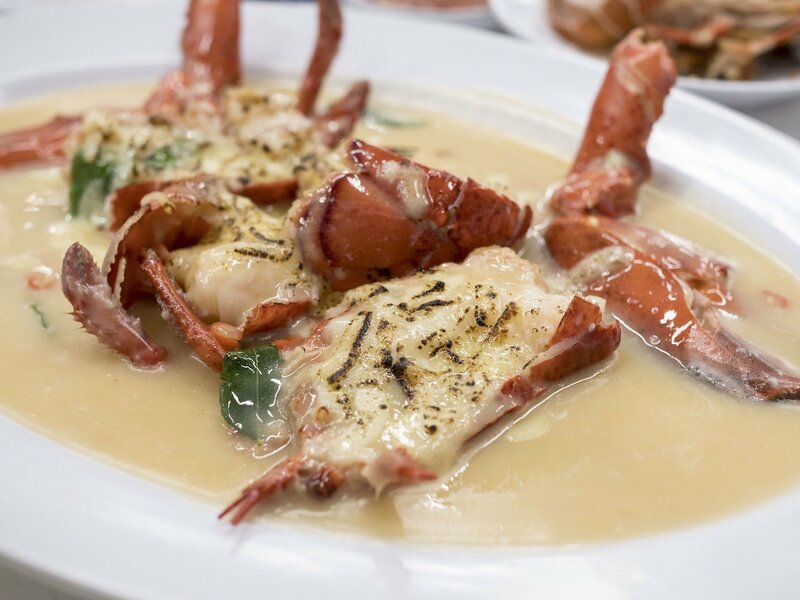 We actually had trouble finishing this lobster dish, not because we were stuffed, but rather that we didn’t want to. This would get a 6/10 score, with points going to the freshness and value of the Boston lobster. 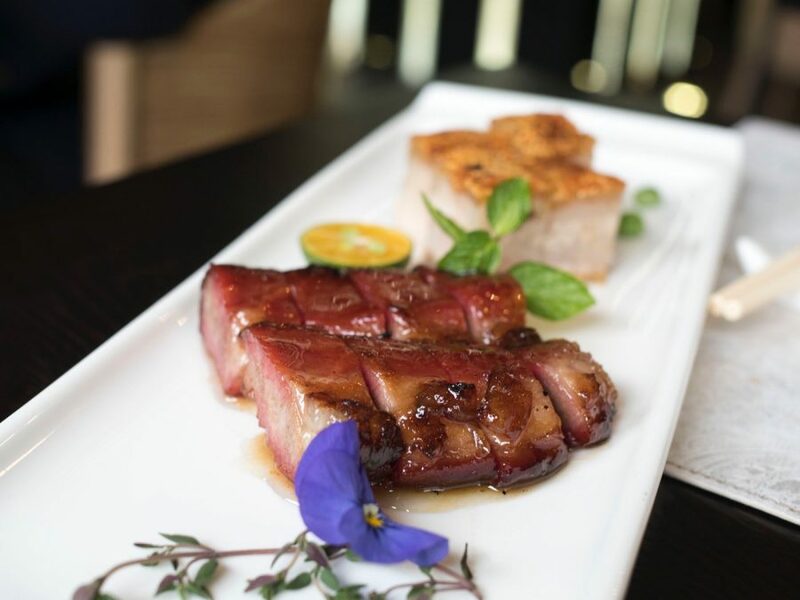 All in all, it was an interesting experiencing dining at Orchid Live Seafood, partly because of the laid back and down-to-earth farmhouse/countryside vibe. I did wished that the food was better, considering the lack of other points to praise. That said, they have been around for a long time, and judging from the full seating when we were done with our dinner, they do have a following. Therefore, take my review with a pinch of salt. Go try them out for yourselves, and let me know what you think in the comments below!